Honda is recalling 141,321 cars fitted with potentially dangerous Takata airbags. 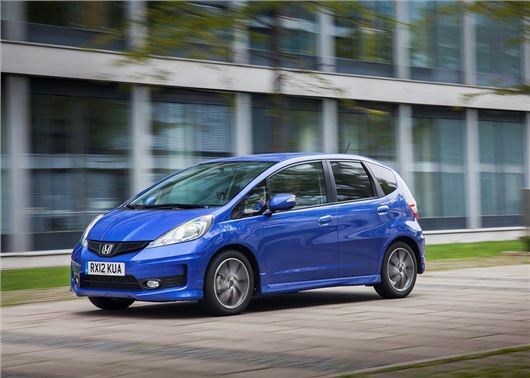 The UK-wide safety notice affects Accord, Jazz, Insight and CR-V models built from February 2010 to May 2015. The DVSA recall states that the passenger airbag inflators may rupture and cause injury in the event of deployment. >>>What is a DVSA recall and what should you do if your car is affected? The Takata airbag design fault has affected tens of millions of cars worldwide, with the inflators reportedly exploding after deployment. No injuries have been reported in the UK, but the safety flaw has been linked to a number of accidents and deaths in the USA. Honda dealers will contact owners of affected vehicles to replace the airbag assembly free of charge. Volvo is also recalling 30,777 cars over a fuel problem that may result in cracks on the inside of the hose. The issue affects cars built between April 2015 and May 2016, including popular models like the XC90, V40 and V60. Volkswagen has issued a DVSA safety notice for 44,000 Polos over a handbrake problem, which also affects almost 20,000 Ibiza and Arona models. According to the recall bulletin, the hand brake lever travel may increase due to adjuster nut movement. Mitsubishi is also recalling 5940 Outlanders over a sunroof fault that may result in the glass detaching from the assembly. Mitsubishi dealers will contact owners to replace the glass and bonding materials. The power steering idler pulley may detach. Drivers air bag may not deploy correctly. Passenger airbag inflators may not operate as intended. The sunroof glass may detach from the sunroof assembly. Hand brake lever travel increase due to adjuster nut movement. Left rear seat belt may unfasten involuntarily. Clutch pipe may contact and damage the bulkhead wiring. Possible fuel leak from fuel tank. The vehicle may not enter a failsafe driving mode as intended. Small cracks may form on the inside of a rubber fuel hose. I have a 2012 Honda CRV - Phoned local Honda dealer - they ordered the part(s). A few days later it took them an hour - job done & they did not lose the settings for the built in SatNav like another dealer did on a previous recall.